CE Elantech, Inc. is a full line stocking distributor of consumables and parts for Thermo Scientific (formerly Carlo Erba/Fisons) Combustion Elemental Analyzers with the most orders shipping on the same day ordered. Regular, weekly shipments from the factory ensure that our inventory remains at levels to complete even the largest orders quickly. 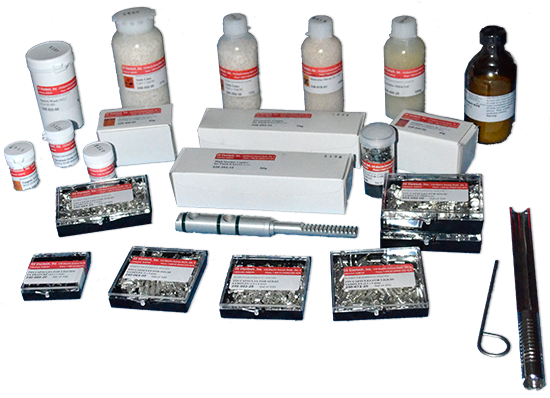 CE Elantech also offers consumables for LECO, Elementar, Perkin Elmer and Costech instruments. We bring the same attention to detail and customer service to these products that we have to the Thermo Scientific Combustion Elemental Analyzers. Our factory certified team of service engineers, complete line of parts and consumables, and laboratory for method development and training are second to none.